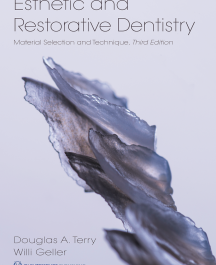 Restorative dentistry has seen dramatic advances in recent years, especially with the use of digital technologies, and this book provides the most up-to-date information on enhanced developments, materials, and techniques that have emerged since the publication of the second edition, offering the reader a completely updated, revised, and newly illustrated overview of modern esthetic and restorative dentistry complete with tutorial videos. New topics include web-based communication with the laboratory, indirect composite chairside CAD/CAM restorations, a comparison of digital and conventional techniques, the resin composite injection technique, as well as updated information on composites and ceramic systems, including esthetic zirconia. New cases illustrate the maintenance of esthetic restorative materials, esthetic contouring, immediate dentin sealing, and novel surgical techniques such as lip repositioning, connective tissue grafting, and ridge preservation with collagen membranes. Dr Terry expanded his team of editorial reviewers to include the best minds in research and clinical practice, and the final product is a testament to his dedication to patient satisfaction and treatment success. The techniques demonstrated in this book will no doubt elevate your practice to the next level. This book is the culmination of extensive research and experience in the field of esthetic mucogingival surgery and implant dentistry. The authors rely on clinical documentation and scientific evidence to establish innovative esthetic protocols for the management of mucogingival complications in implant dentistry. Each advanced surgical and restorative procedure is prefaced with the scientific research, historical background, and clinical experiences that led to its development by the authors. Facets of diagnosis and the many treatment options for each case are covered clearly with a strict evidence-based philosophy. The authors have streamlined their revolutionary techniques and innovations for standardized application, and each clinical case is presented step by step and in stunning photographic detail. This book will lay the foundation for the development of clinical skills that will lead to more esthetic outcomes in some of dentistry’s most challenging cases. Advances in technology and biomaterials have dramatically expanded the possibilities for esthetic optimization in restorative dentistry. Too often, however, such treatment focuses exclusively on the dental area and fails to consider the overall facial composition. This easy-to-read text provides the clinician with a systematic approach to facial evaluation during esthetic treatment planning. Separate chapters guide the reader to an understanding of the esthetic parameters involved in facial, dentolabial, phonetic, dental, and gingival analysis. 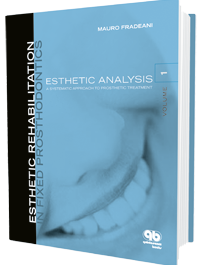 Each chapter presents prosthetic considerations and applications that allow the clinician to formulate an optimal treatment plan based on the individual clinical situation of the patient. Also provided is an esthetic checklist that allows the clinician to apply the principles described in the text to everyday practice. 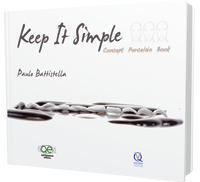 Amply illustrated, this text is an invaluable tool for all clinicians practicing esthetic and restorative dentistry. 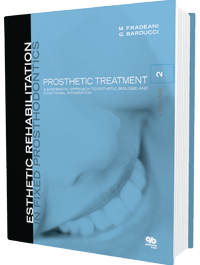 This much-anticipated book presents the procedural phases required to achieve optimal results in the esthetic rehabilitation of patients in need of fixed prostheses. Communication between the clinician and the technician, which is essential to the esthetic, biologic, and functional integration of the prosthetic rehabilitation, is highlighted through a step-by-step presentation of all clinical and laboratory procedures. Chapters demonstrate methods to obtain accurate facebow recordings, impression materials and techniques, fabrication of provisional restorations, and incorporation of interdisciplinary therapies for ideal comfort and esthetics. All of this information is transferred to the final restorations, which should provide patients with long-term prosthetic solutions exhibiting appropriate fit, form, and function. Hundreds of full-color clinical photographs and detailed illustrations accompany each treatment phase and situation described. This beautiful book picks up where Volume 1 ended and delivers its message with equal clarity and precision. This book beautifully showcases the concepts, materials, and techniques essential to mastering the most demanding of all surgical and restorative challenges, the anterior single-tooth implant. To achieve the long-lasting esthetic and functional results displayed in this clinical masterpiece, one must attend to the myriad details associated with each phase of treatment. Designed for a new generation of visually oriented learners, the book presents step-by-step clinical procedures that unfold like the frames of a film, so that readers may “watch” at their own pace and pause as necessary to contemplate these fine details. This experience will spark the curiosity, creativity, and imagination of even the most veteran surgeon. 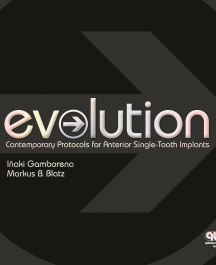 Written by a highly respected and innovative surgeon, this book presents an unconventional implant treatment strategy for the esthetic restoration of anterior teeth that has proven effective over years of clinical experience. 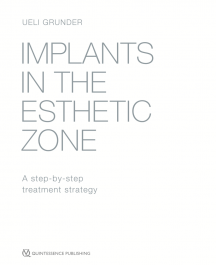 In addition to reviewing biologic principles, treatment planning, indications, esthetic analysis, and prosthetic options, the author focuses on factors such as gentle tooth extraction, precise implant positioning, criteria for one- and two-stage implant placement, and most importantly, a wide range of soft tissue management techniques in his approach. In the observation of nature smile, the complexity of facial dynamics, the various biotypes of gums and teeth – these are the natural references that challenge us to find the most beautiful esthetic The concept of biomimicry, more precisely cosmetic dentistry, is based on this search Technology has revolutionized cosmetic dentistry and helped make biomimicry a reality In many dental procedures, nature and function together provide a unique set of references. Despite the many advances of contemporary dental research in biomaterials and tissue regeneration, no dental material can perfectly correspond to natural tooth. The authors of this dynamic atlas posit that it is the mastery of layering technique and not the material itself that is most important in recreating natural-looking restorations. This atlas synthesizes the latest technologic advances in esthetic dentistry and shows how to successfully integrate them into clinical practice. Part I begins with a chapter on dental photography that focuses on the correct settings and use of equipment needed to obtain high-quality images for documentation and communication with patients and the laboratory. Subsequent chapters present the steps involved in the esthetic preview, which provides the opportunity to try out a proposed treatment and make adjustments before undertaking any procedures, increasing patient acceptance and satisfaction. are addressed in the second volume. 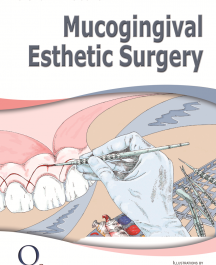 This volume describes and illustrates mucogingival surgical techniques as applied to native teeth or implants, with the chief aim of satisfying the patient’s esthetic requirements.